Animal Wildlife | Dolphin | The term common dolphin tends to refer to the short-beaked common dolphin and the long-beaked common dolphin that are found in warmer seas worldwide. The common dolphin is generally found around the Mediterranean Sea but are also commonly seen in deep off-shore waters and to a lesser extent over continental shelves that are preferred to shallower waters. 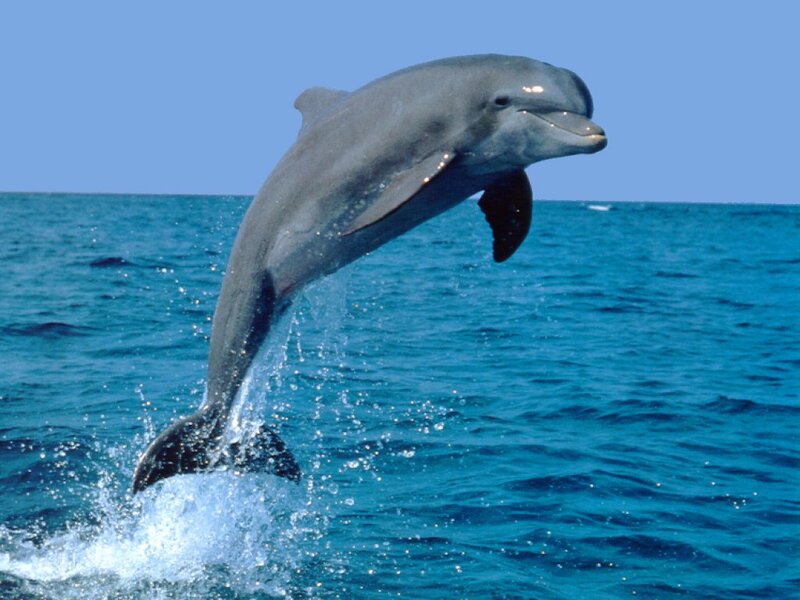 Some populations of dolphin may be present all year round, others appear to move in a migratory pattern. 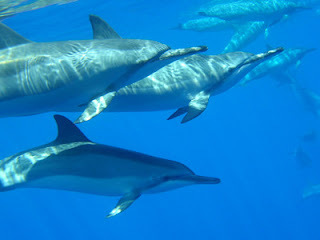 Common dolphins travel in groups of around 10-50 in number and frequently gather into schools numbering 100 to 2000 individuals. These schools are generally very active socially with groups often surfacing, jumping and splashing together. 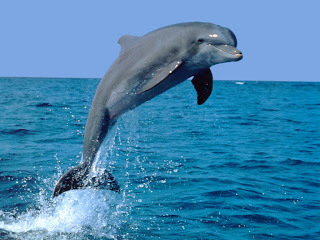 Typical dolphin behaviour includes breaching, tail-slapping, chin-slapping, bow-riding and porpoising. 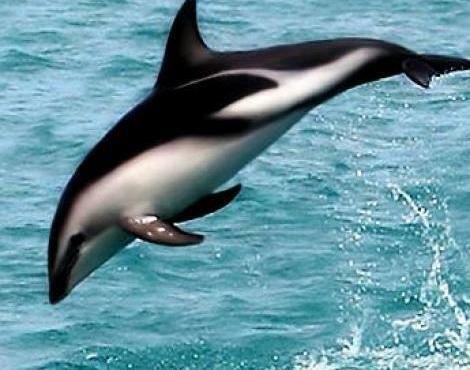 Common dolphins are among the fastest swimming marine mammals, with some possibly reaching speeds of over 40 km/h. 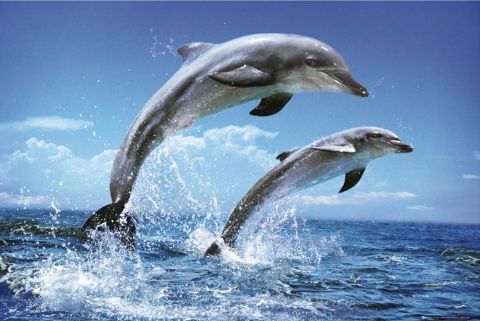 Dolphins have been known to use both their speed and large group sizes to develop different ways of hunting prey.